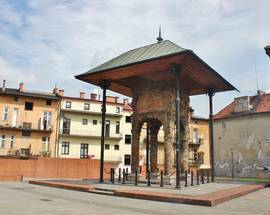 Between ul. 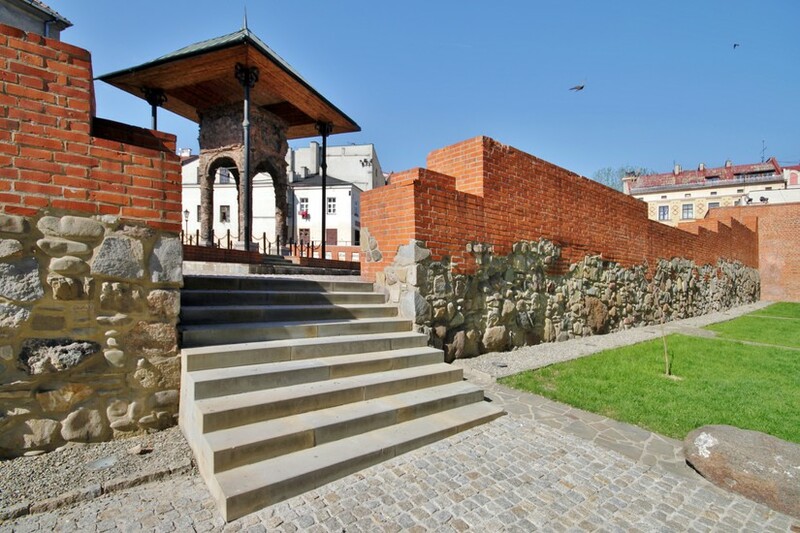 Żydowska (Jewish Street) and Plac Rybny (Fish Square) stood The Old Synagogue, Tarnów's primary place of worship for 45% of its population when war broke out in 1939. 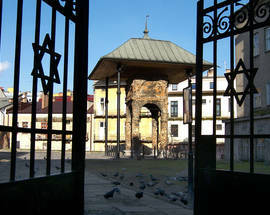 The first synagogue at this site dates back to some time before 1582; the frequent victim of fires, the wooden structure was finally rebuilt out of brick in 1670. 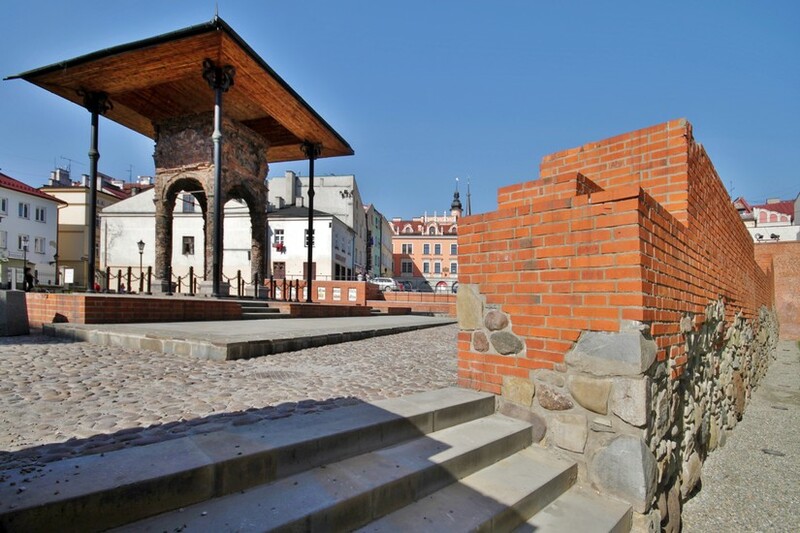 On November 8th, 1939, the Old Synagogue was destroyed by the Nazis and later demolished; all that remains today is the brick 'bimah' - a four-pillared podium from which the Torah was read. 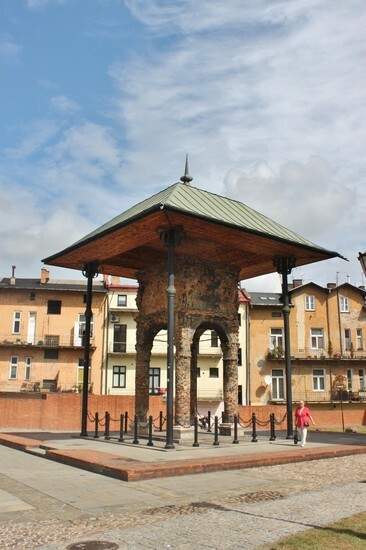 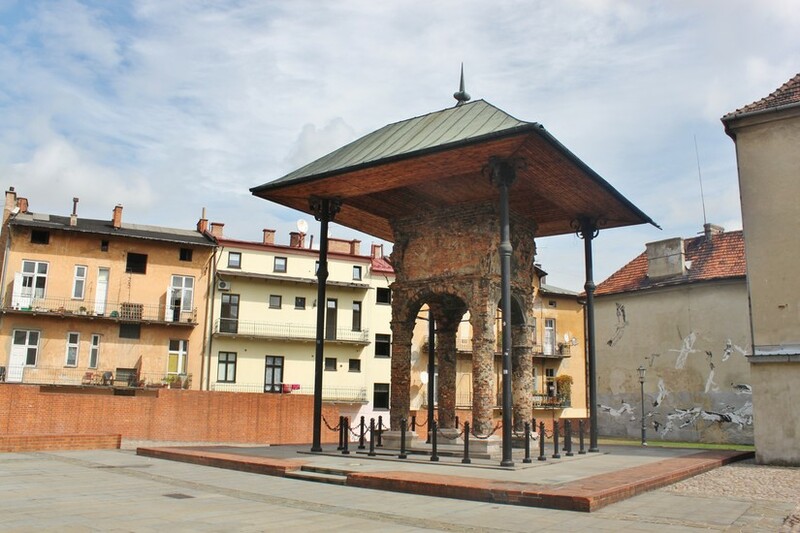 In 1987 a roof was placed over the bimah to protect it, and the area around it has since been renovated into an appealing public space which hosts concerts during the annual celebrations of the 'Galician Shtetl - Jewish Memory Days' each summer (June 13-23, 2019). 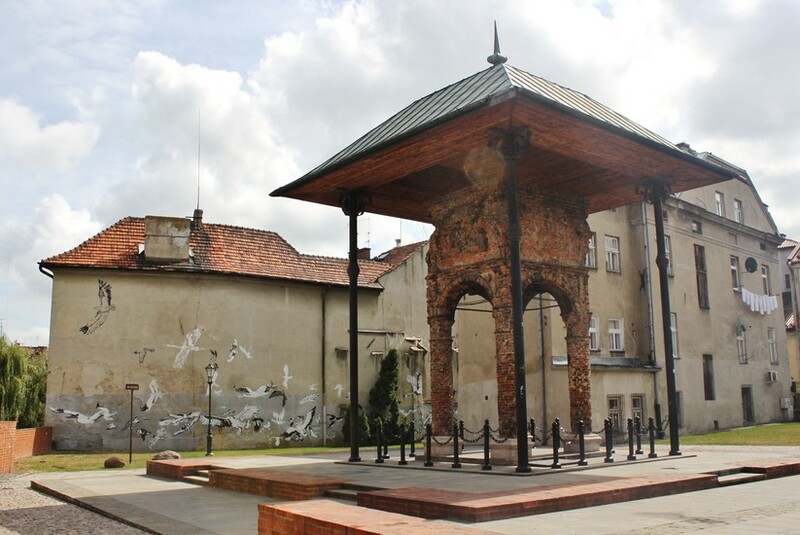 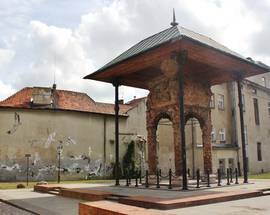 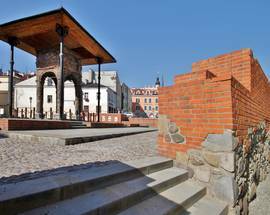 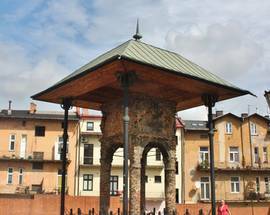 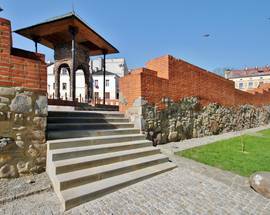 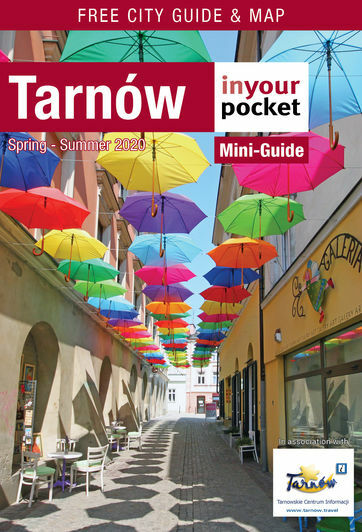 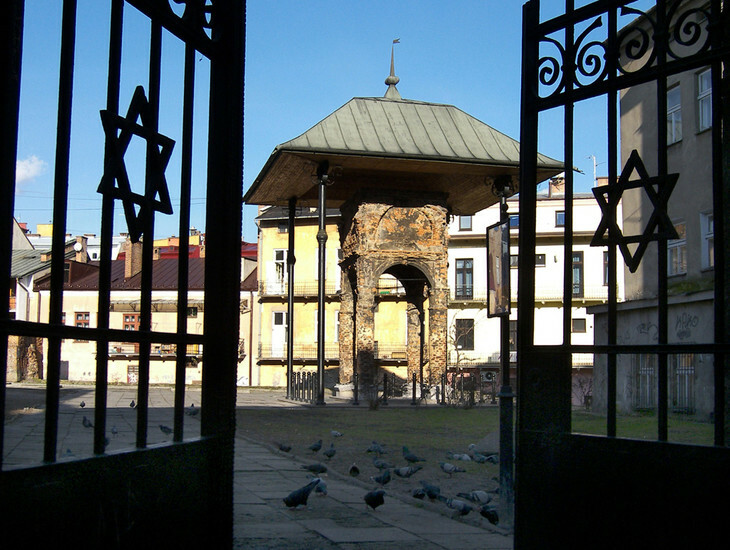 Today the bimah is the most visible and perhaps the most important monument to Tarnów's Jewish heritage.